In the health and wellness world, the word organic has been a buzzword for several years now. While most people have at least a vague idea of what organic food is, there are a lot of questions and myths that surround the concept of organic lifestyles. Some people wonder if organic food is legitimately better, while others question the link between GMO’s and cancer. The truth is that there is a wealth of information that is often confusing. 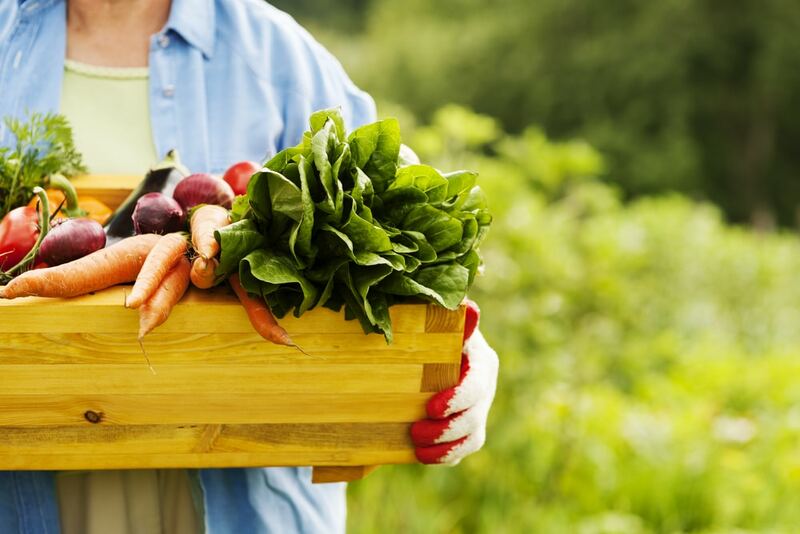 This article aims to be a resource for people who want to learn all about organic food. Organic food is grown with natural fertilizers like compost or manure while conventionally-grown produce is grown with chemical or synthetic fertilizers. On organic farms, weeds are controlled through natural processes like hand-weeding, mulching, crop rotation, and tilling. Non-organic farms use chemical herbicides to control weeds. What Are the Benefits of Eating Organically? Some people with food allergies and sensitivities report lessened or nonexistent allergies when they switch to an organic diet. Organic produce does not use chemicals or pesticides which means there are fewer fungicides, insecticides, and herbicides on or in them. Organic farmers aim to reduce their environmental impact. Their farming practices conserve water, reduce pollution and soil erosion, increase the fertility of soil, and practice energy conservation. Often, because there are no preservatives in organic food, the food you eat is fresher. What are GMOs and Why Should You Worry About Them? The topic of GMOs is very controversial, and there are many debates that surround the issue. See for example, MIT’s article including the arguments from all players here: http://web.mit.edu/demoscience/Monsanto/players.html Genetically modified organisms (GMOs) are crops that have been engineered to either produce their own insecticide or to be resistant to various herbicides. One of the most common GMO foods in the United States is sweet corn. Some of the other popular crops include alfalfa, squash, soybeans, zucchini, canola, and papaya. Many cereals, processed foods, or anything that contains ingredients like corn syrup or soy lecithin typically do contain GMOs. Sweet corn was one of the first foods to be experimented on, and now most corn has been genetically modified to grow its own insecticide while also being resistant to the herbicide called Roundup.One of the most significant debates surrounding GMOs and other pesticides is because of Roundup. The World Health Organization has announced that Roundup is possibly carcinogenic to humans and the use of Roundup has increased around 15 times since GMOs were created; however, there is still controversy about whether there is a significant health risk when pesticides are used. There is a misconception about organic farming and pesticides. Many people believe organic farming means no pesticides, but that is not true. People who eat organically are exposed to fewer pesticides, and the only pesticides organic farmers use are naturally-derived instead of synthetic. The fact they are natural tends to make them less toxic than synthetic pesticides, and in general, people who eat organic have less exposure to pesticides. Does Soaking Vegetables Work to Get Rid of Pesticides? Many people encourage soaking produce in apple cider vinegar to reduce pesticides. While it will alleviate some of the pesticides, it does not eliminate them. Unfortunately, getting rid of pesticide exposure entirely is impossible. Do I Have to Buy All of My Food Organic? There are plenty of people who only shop at organic food stores, and will avoid non-organic foods at almost all costs. There are others who have learned which foods are high in pesticides and prevent those while also eating conventionally-grown crops that are low in pesticides. One of the biggest struggles many people face is the cost of food. For people who want or need to eat organically, the cost of eating healthy is often viewed as overwhelming or impossible. While organic food does cost more, the idea that it is impossible to eat organically on a tight budget is a myth. It is possible to purchase organic food items on small budgets. See the tips below to find the most cost-effective way to add organic produce to your diet. The reason that organic produce is typically more expensive is due to the fact that organic farming is more labor-intensive than conventional farming and certifications for organic farming are expensive. For people who want to shop organically and also on a budget, here are some tips to help. If you have an organic foods co-op, you can join for a small yearly fee and then meet up regularly to purchase your food at a lower price. For example, check out http://www.bountifulbaskets.org/ as an example of a bulk produce delivery co-op that offers an organic basket–a significant amount of produce for a small price! Most cities and even small towns participate in weekly Farmer’s Markets where you can go once a week to purchase food directly from local farmers. It is essential to watch prices because not all food is cheaper than grocery stores; however, many farmers do sell their produce or other food products at a reduced rate compared to the grocery store. Not only are in-season vegetables and fruits fresher when you purchase them, but they are also sold cheaper when they first become available. If you want to maximize on buying produce when it is at its most affordable, it is necessary to shop around to learn which grocery stores or farmers markets offer the best price. If you have a CSA farm near you, signing up for one can help make organic shopping affordable. CSA farms allow families and individuals to purchase shares of produce. The shares are bought in bulk and then sold directly from that farm. While the organic lifestyle has been growing increasingly popular over the last several years, it originated in the early 1940’s and has been increasing consistently since then. Because of the hype, there have been many issues with foods claiming to be organic or all natural but are actually not. One last tip for you as you continue learning about organic food, it is important to remember that eating organic food does not mean you are eating healthy food. For several years, marketers have worked to convince the people who want to embrace the health world that the word organic means healthy. The truth is that organic desserts and snacks that say organic do not necessarily contain any less sugar, fat, calories, or salt than non-organic food. It is essential to read labels and understand what you want to accomplish by eating organic food. Eating organically is simpler and more affordable than ever before if you implement the steps in this article, and explore everything the organic world has to offer.